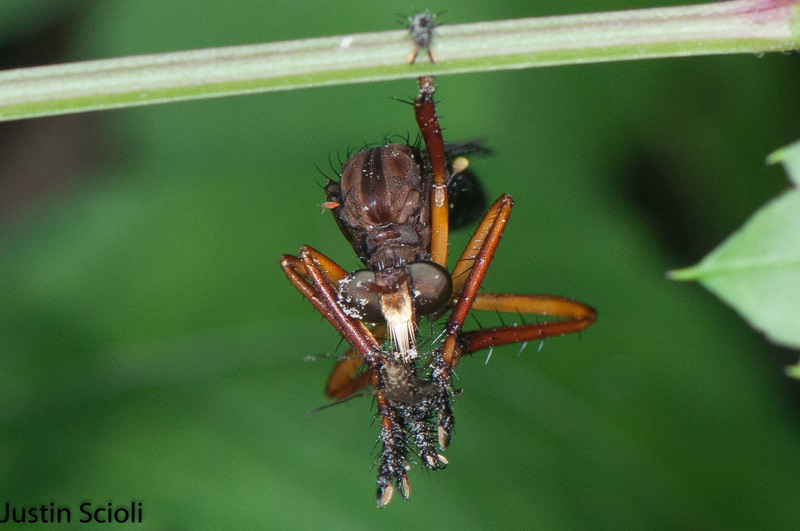 On a recent walk in the park, I came across a rather relaxed robber fly. 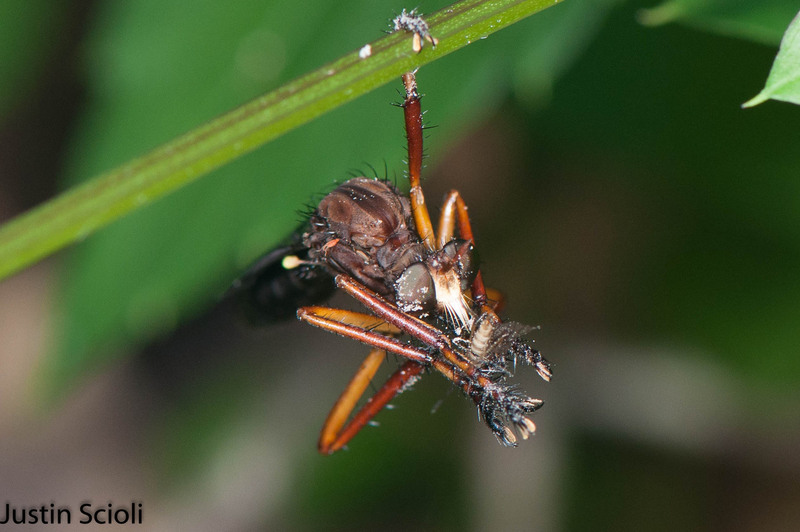 This little fellow (Diogmites platypterus), also rightfully known as a “hanging thief,” was just chilling and munching on a small moth while dangling on some vegetation by a single leg, freeing up five more to manipulate his meal. I can’t seem to find a definite answer online about whether this hanging behavior is unique to the new world genus Diogmites. What some quick investigating suggests, interestingly, is that the favorite prey of this group seems to be bees and wasps, however it seems like at least this species also targets Lepidopterans, such as the unlucky one seen here. Another cool robber fly fact I learned after taking this photo is that the stiff “mustache” seen here hanging over the mouthparts extending from the face has a specific name: the mystax. I never thought it could be so unusual and exciting to spend your weekend just hanging out.